And as very hand in hand team we did this wallpaper together. Translater, cleanner and typesetter teamed up and here it is! 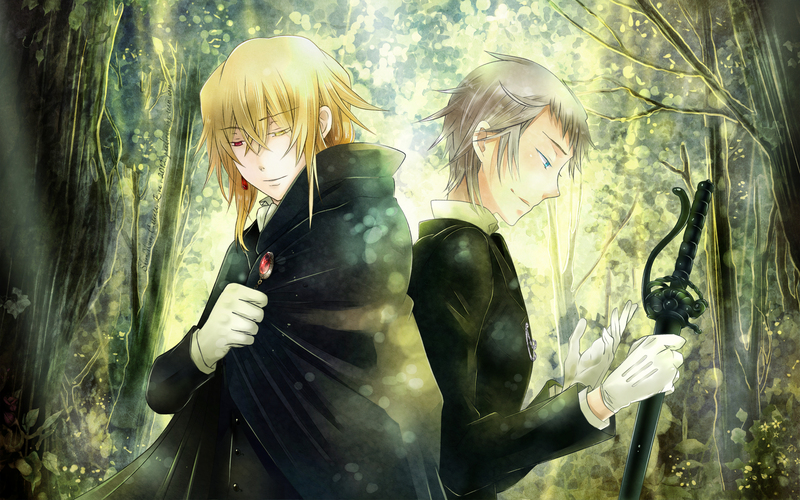 My first wallpaper was Alois and Vincent. They are really like brothers, but this wallpaper is also about brothers. And fragile elusory feeling. Like autumn sun. And today is also official Vincent Nightray's birthday! Happy Birthday, Vincent! Thank a lot for this beautiful wallpaper and for new chapter of Pandora Hearts too! I gotta say I miss your walls. This wall is soooo warm and emotional! No questions asked - straight to my fav!